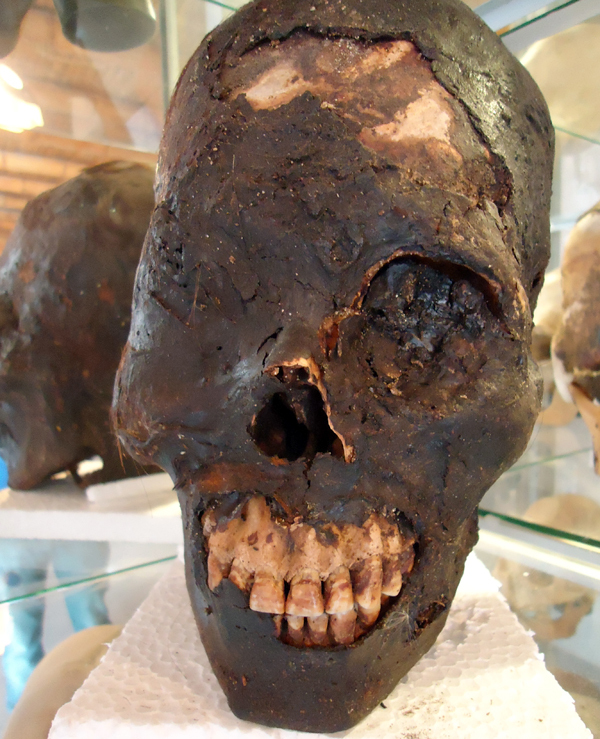 Is this weird and vertically elongated Skull the one from Andover? Real or Hoax! 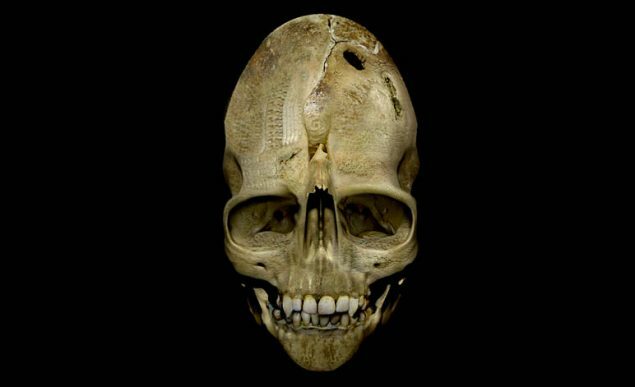 For centuries, perhaps even millennia, people have been finding weird skulls and strange artefacts that they cannot easily explain. These range from gold coins embedded in coal to complicated tools such as the Antikythera Mechanism. 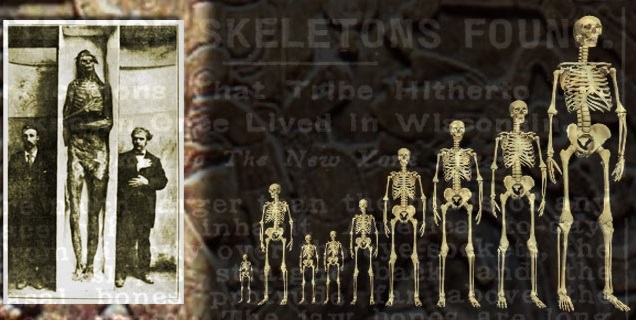 The same is true for skull bones and there have been many discovered that challenge the perception of human evolution. 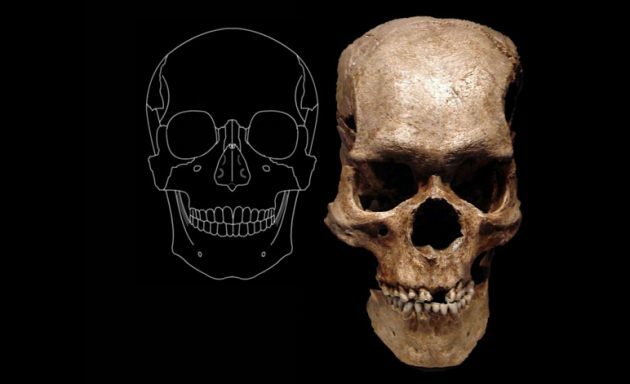 The fairly recent archaeological discovery of miniature human bones on the Indonesian Island of Flores has lead to the establishment of a new, if contentious, species of human – Homo Floresiensis. In South America scientists have revealed many strange bones and elongated skulls and in North America a small foundation has been established to study the mysterious Starchild Skull. As with any somewhat controversial topic the subject matter attracts strong views from those who support the associated findings and those that dispute them. This page is an introduction to some of the weird skull artefacts and bones that have been revealed as well as some of the debate that surrounds their authenticity. 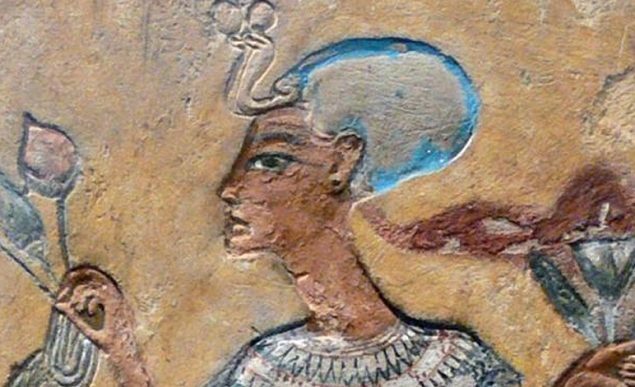 The image above is from the limestone carving called the “Relief of a Royal Couple” and is believed to depict Nefertiti an Egyptian queen and is from the 18th Dynasty circa 1330BC. It is on display in the Altes museum in Berlin – Germany.